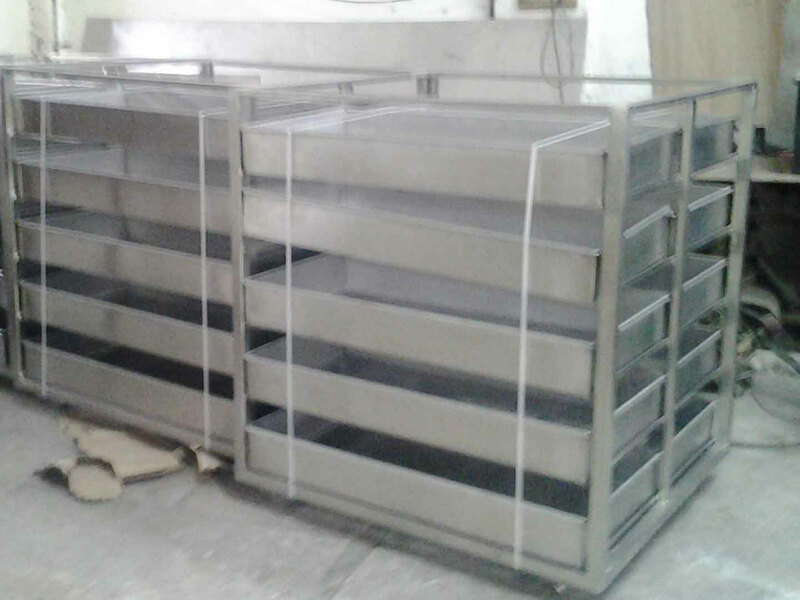 Our wide selection of stainless steel racks can be used for a variety of purposes in the food and drink and pharmaceutical industries. 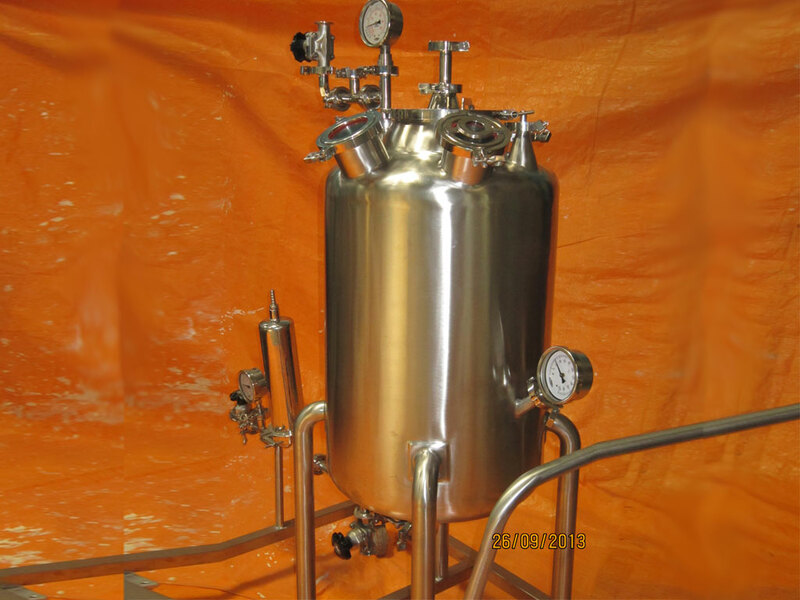 Can be used in Formulation, Sterile area, freezers etc. 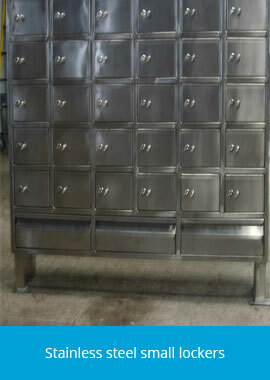 We have several options of standard and be spoke designs in Stainless Steel Cupboards. 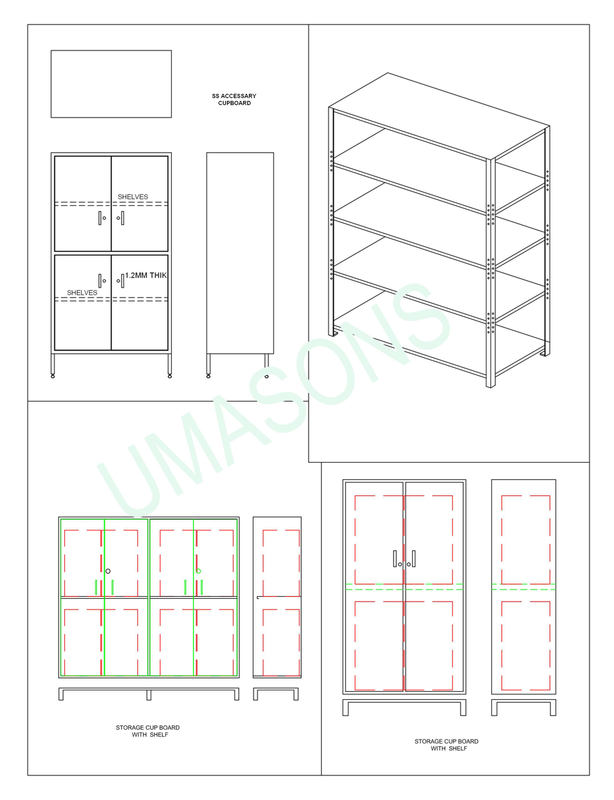 Options for various sizes, shelf combination, door arrangements etc offer our customers endless flexibility. 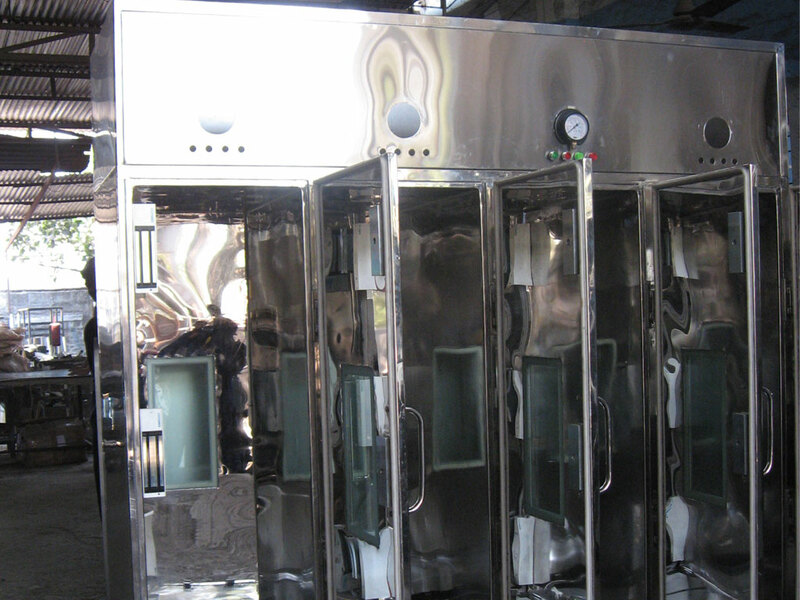 Our products have diverse applications in the pharmaceutical and biotech industries, hospitals, food and hospitality industry and can be extended for any versatile needs for storage. 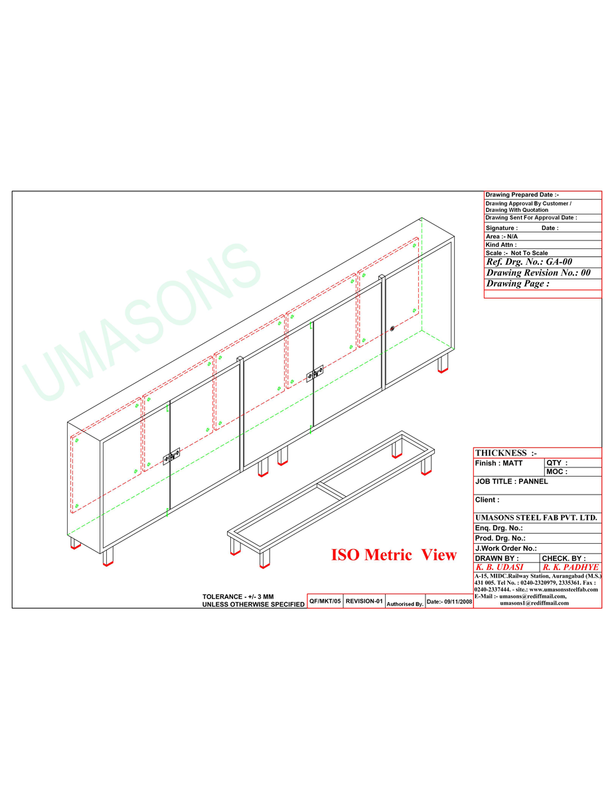 We manufacture a wide variety of tables to suit your requirements of the production area. Our worktables can be used as heavy duty workstations, writing tables, computer tables etc. These are available in various grades and gauges. These tables are solid, perforated, have enclosed fronts with sliding or hinged doors and can be designed to suit your height requirements. Our chairs and stools are made with high performance and comfort in mind. Our stainless steel chairs are specially designed for packing areas and are comfortable for long hours of sitting. Our revolving stools with the seat made from heavy gauge sheet are sturdy and can be tailor made to suit mobility, and height adjustments. 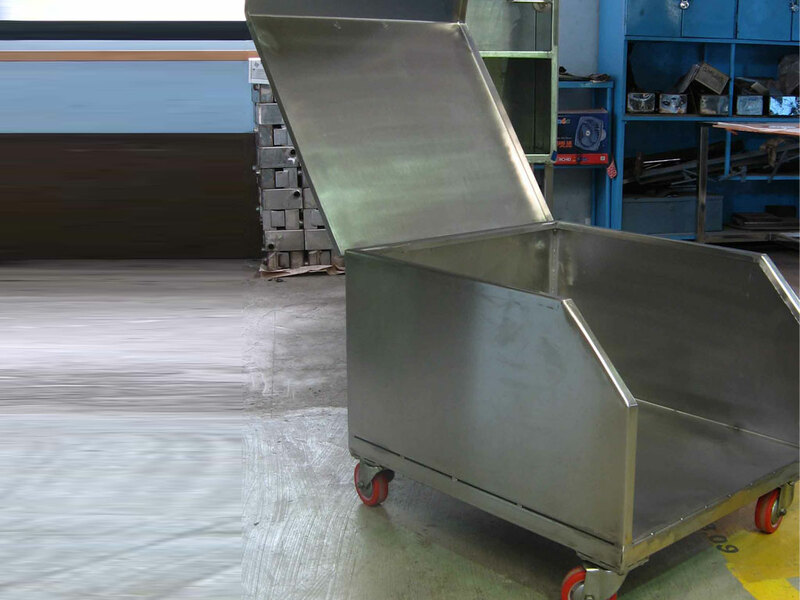 Raw Material Movement Trolley - We manufacture Raw Material Trolleys which can be used to move material from stores to production areas and within. 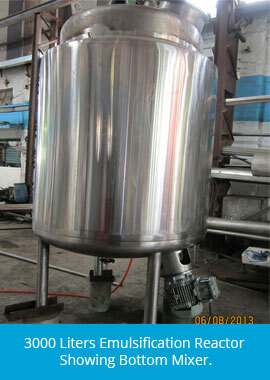 These have a stainless steel body thus making it robust in construction. 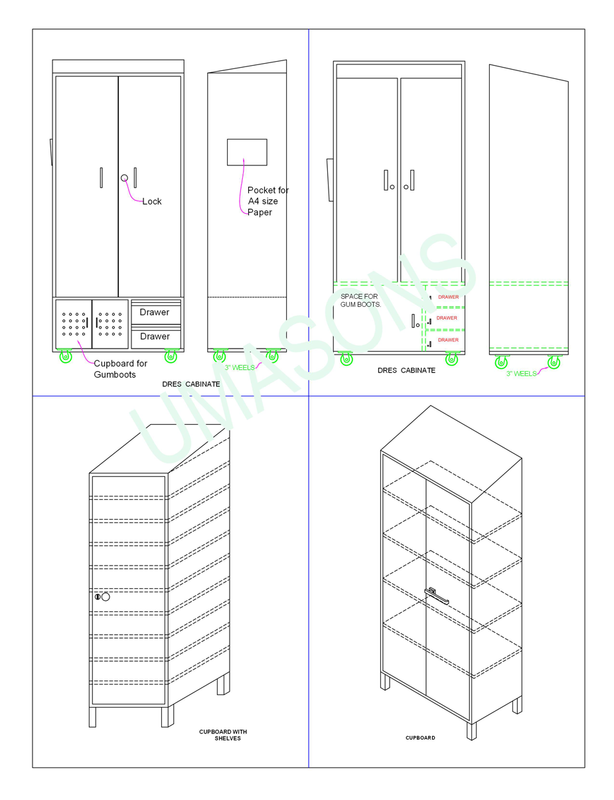 The trolleys can be fitted with side retainers to avoid accidental fall of materials while movement. 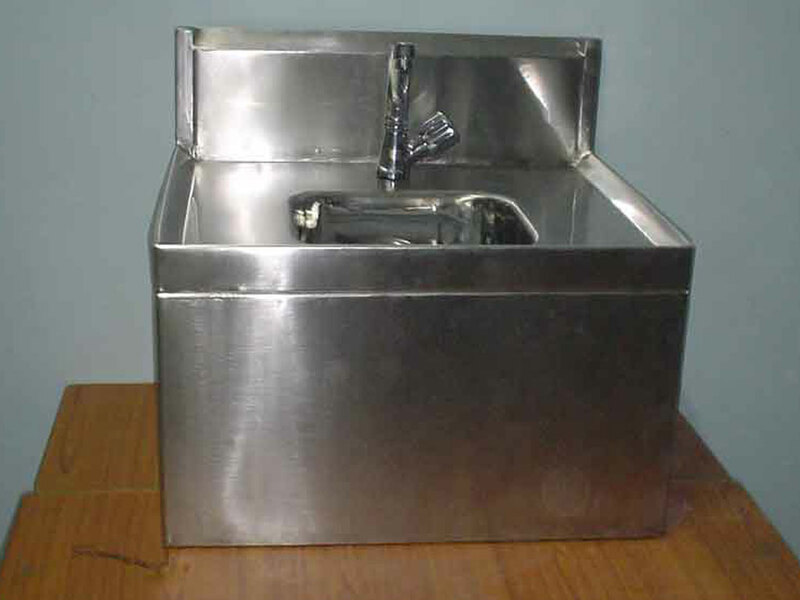 Sterilizer Trolleys - These trolleys are made as per the customer and industry requirements. The trolleys that we make can be used for pouches and can take about 1000 kgs in weight. These trolleys can also be lifted with hydraulic lifters to hasten material movement on the shop-floor. 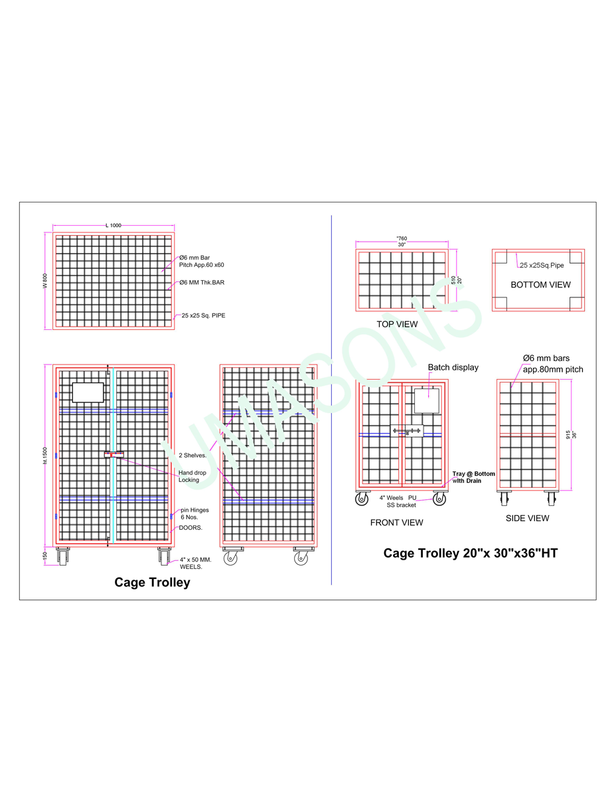 Cage Trolleys - We manufacture cage trolleys with robust builds. 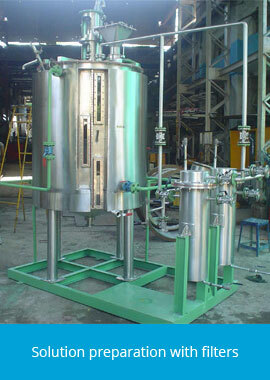 These are quickly used to transfer large quantity of goods from one place to the other on the production shop-floor. 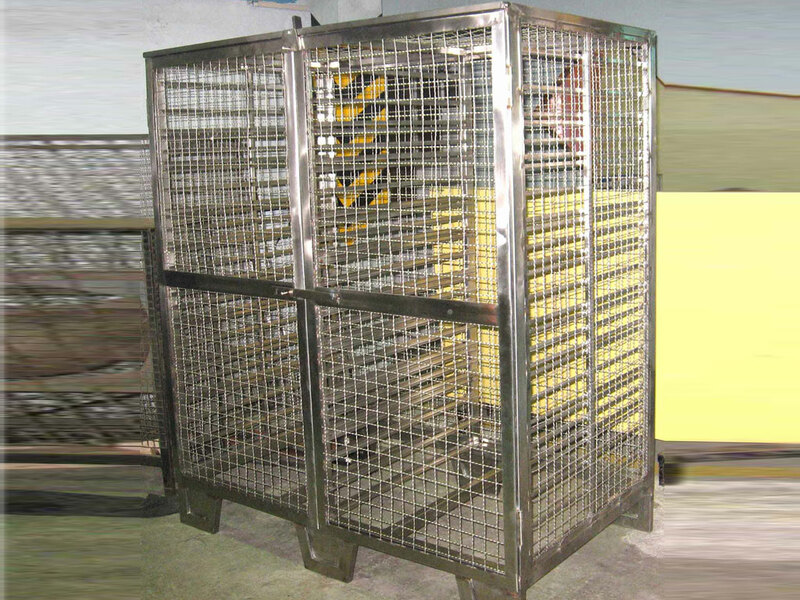 The make of the trolley in the form of a cage makes it easy to load material without the need to tie or bind them and thus avoid mishaps on the production floor. 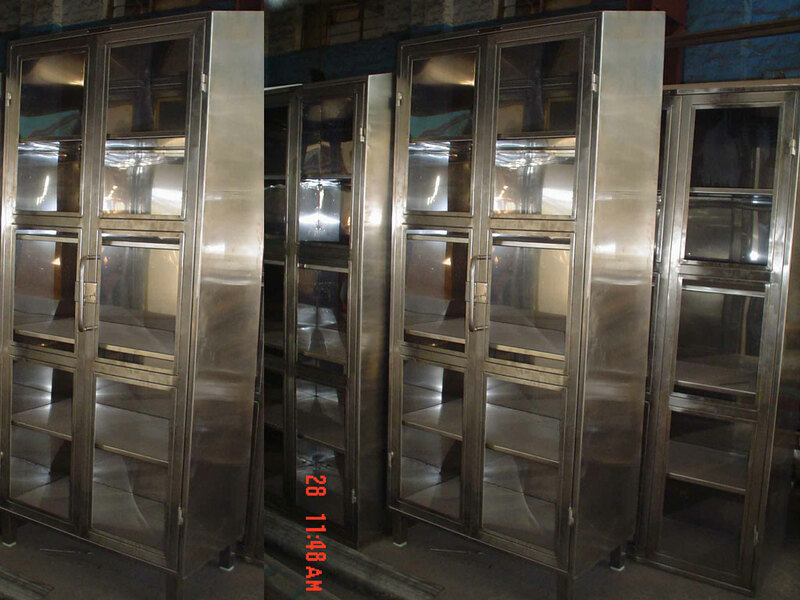 Autoclave Trolley 1 - These Autoclave trolleys are made for autoclaving IV bottles. Various combinations are available. 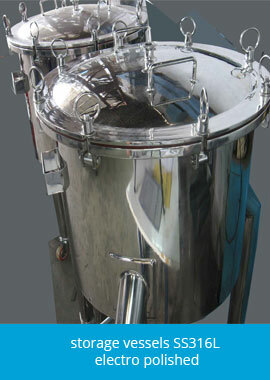 Autoclave Trolley 2 - These trolleys are provided with perforated trays, for spray water sterilizing. 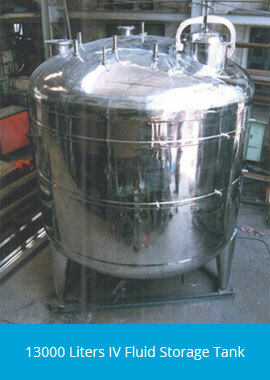 Our customers can use from a comprehensive range of high quality containers. 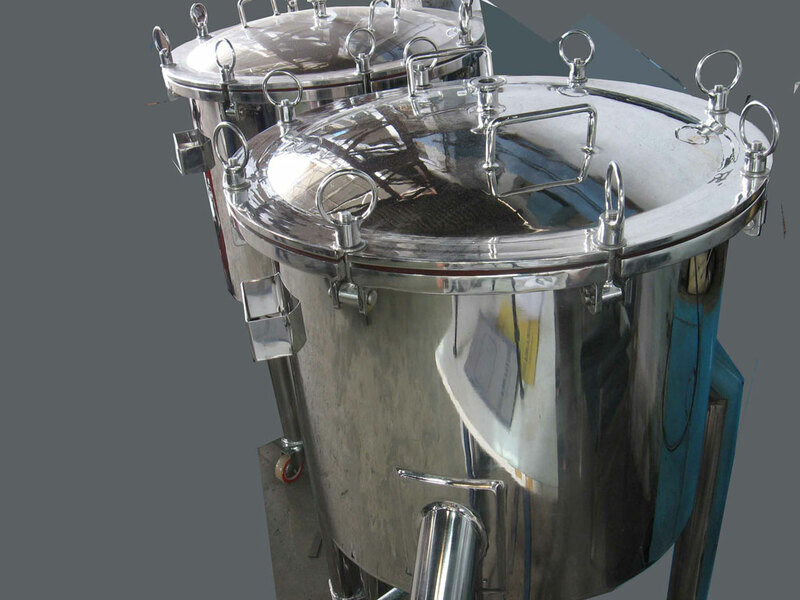 These can be extensively used for a variety of storage applications. Our pallets are available in SS304, SS316 and SS202 material. 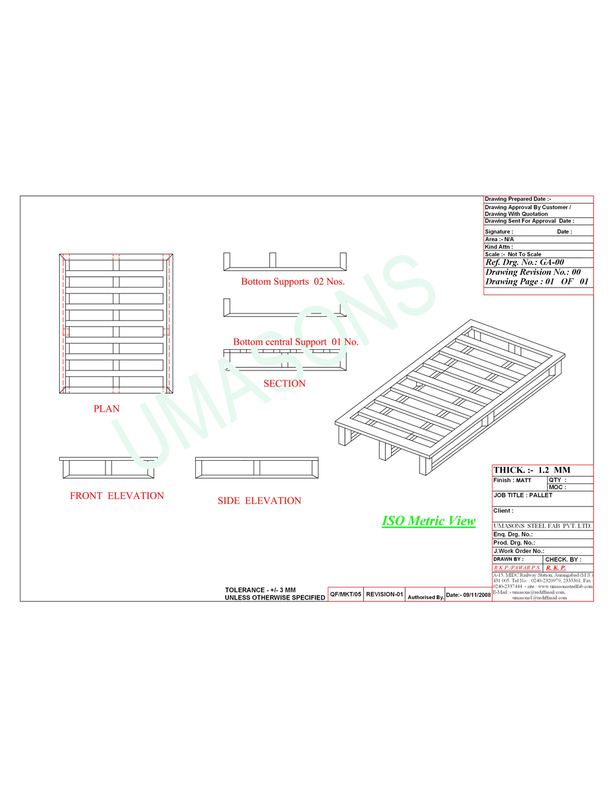 The pallets are made as per your requirements of size and weight. 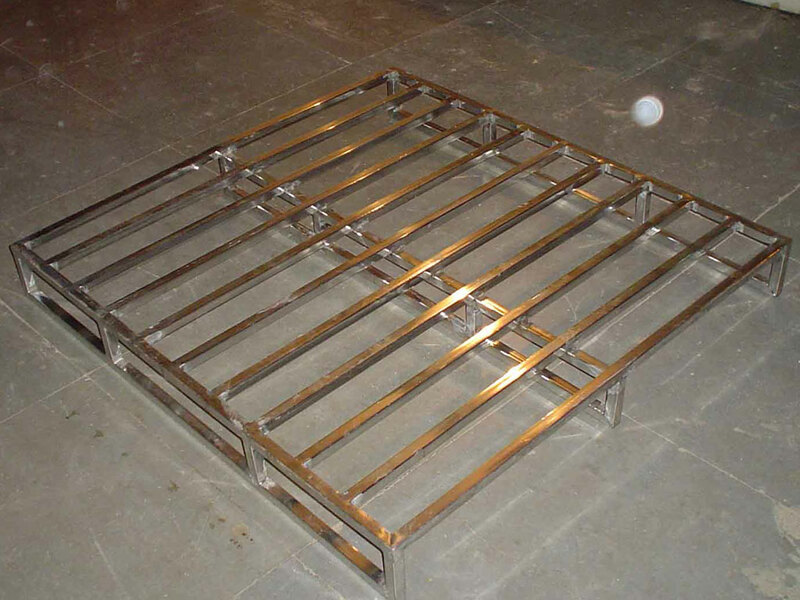 We also manufacture pallets that can be used by automated stacking systems. 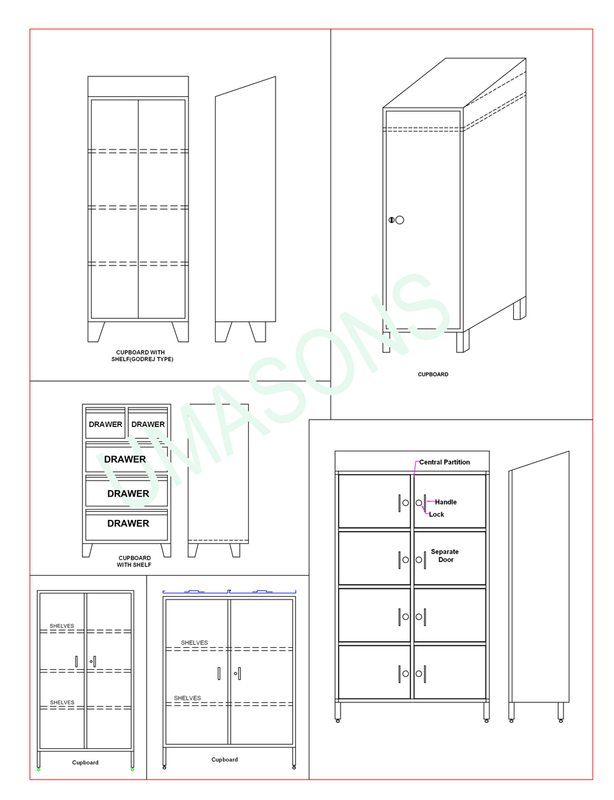 Cupboards for documents, spares fob bags etc.